Ophthalmic Instruments (M) Sdn. Bhd., established in the year 2006, a company which is known by most of the Opticians & Optometrists in Malaysia, due to its persistency and enthusiasm of the technical service team which had been moving forward for the past 20 years in this market. 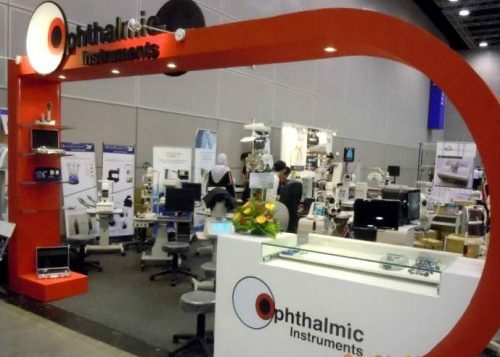 Our company mainly focuses on ophthalmic instruments in Malaysia. Service & Market the Lens Dispensing Equipments, Vision Acuity Test & Diagnostic instruments for optical eyewear outlets, eye clinics & hospitals located through out 13 states in Malaysia. With the close relationship & strong network from our sales & technical team, the company has established its strong base in this line, achieved the sales target with the turn over of Ringgit Malaysia 8 million of total group sales in a year. Our Company is service orientated hence we can excel in all areas of services, from technical to supplies. As one of the most reputable vendors in the market, our unmatched reliability has catered for the support we are able to provide for our customers. We believe that by learning about our customers’ business, we are able to understand their priorities, vision, and desired goals. We relentlessly pursue to enhance the productivity and quality needs of our Customers by providing the best available Price, Quality and Service such that there shall be mutual growth and development through our long term “Business Partnership”. Our Company has enjoyed tremendous growth since our inception in 2006 and we now represent a few international companies as their Agent and Distributor in Malaysia. We have established one stop center for Opticians & Optometrists in Kuala Lumpur, with Sales & Support Office, Showroom, Lens Dispensing Lab and Technical Maintenance Bay.